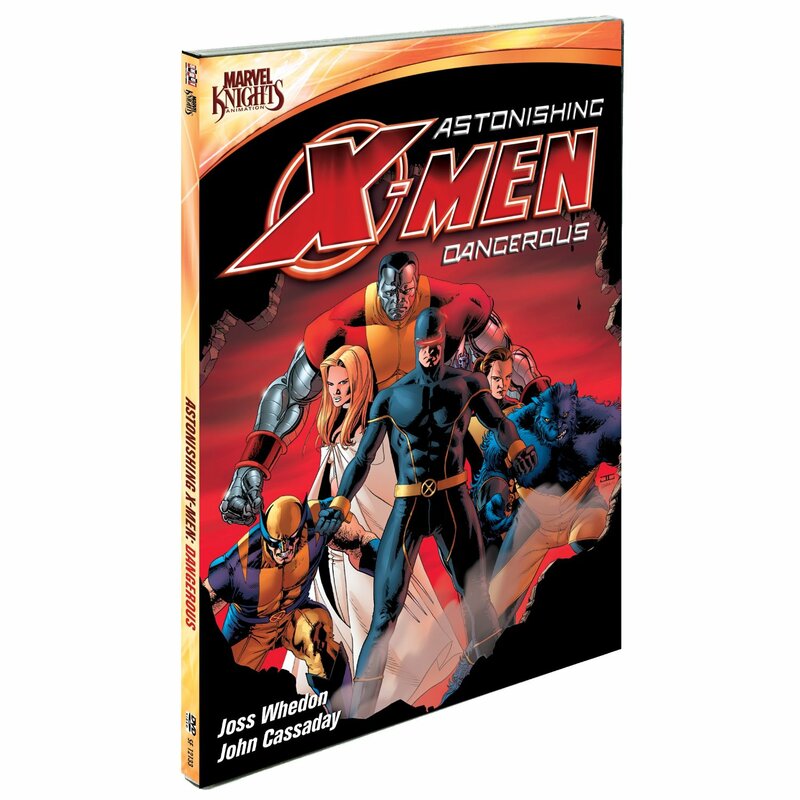 Bryan Reviews ‘Astonishing X-Men: Dangerous’ DVD!!! 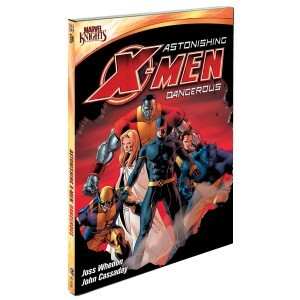 ‘Astonishing X-Men: Dangerous’ is the second part of a trilogy written by Joss “man-god” Whedon. 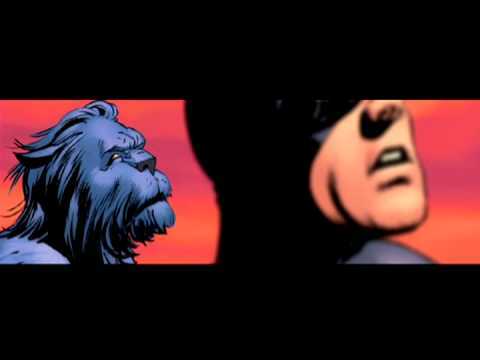 This is a motion comic film which is illustrated by the talented John Cassaday and is out just in time I feel to promote Whedon’s epic Avenger film. This is not the best work I’ve seen, but it’s not the worst either. I just feel like this was rushed to release rather than give it the proper time to be the badass DVD it deserves to be. This 69 minute motion comic movie picks up right where the first part which was titled ‘Gifted’ left off. There is a gifted young student at the Xavier school who is tricked into committing suicide by jumping to his death. This is caused by an evil robot that became self aware. Cue the Terminator music. The student’s horrifically mangled body is then controlled like a puppet to cause problems at the school. The robot holds all the student hostage and it is up to the X-Men to bring down and destroy this evil robot. The 69 minute movie is broken up into six short mini episodes and I think the story is quite good. If you haven’t read them, then I highly suggest you do. You’ll very much enjoy it. However, at times, it doesn’t seem to translate all that well into the motion comic format. Whedon’s storytelling is perfect and Cassaday’s art is amazing, but I’d rather have a full animated show with such great work. The video is presented in 1.78:1 anamorphic widescreen aspect ratio and is not in 1080p. When the opening titles came across the screen, I got scared for a bit, because the video quality was awful. There were tons of problems with it including: artifacting, aliasing, and much more. However, that only happens in the opening titles. Once we actually get into the actual episodes, most of it goes away and actually looks quite nice. There is still a hint of all the previous mentioned problems, but it’s very little. The audio has a 2.0 stereo mix with no subtitles. For a motion comic it does the job, but as a X-Men fan, this needs to pack a more powerful punch than it did. I wanted to hear all of the action beats and ambient noise on all my speakers. It would have helped put me in the scene considering its a motion comic. The dialogue felt monotonous and flat and the ambient noise seemed all jumbled. I wanted more from this. If you are a fan of this series by Whedon, then this is a great addition to your collection. It’s cheap enough to purchase on a whim and will complete your Astonishing X-Men collection thus far. However, with all of its problems, no HD, an zero extras, I would wait until a much better version comes out. But who knows when that will be. We might be waiting years for that. I think Marvel and not Shout! Factory dropped the ball on this. 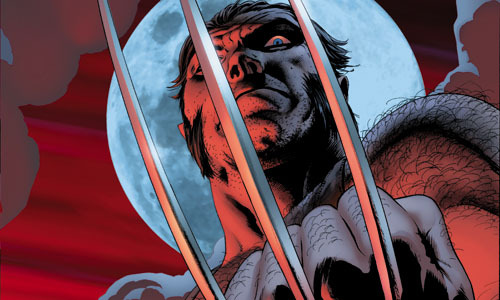 This entry was posted on Monday, April 23rd, 2012 at 10:31 pm	and is filed under Comics, Film, News. You can follow any responses to this entry through the RSS 2.0 feed. You can skip to the end and leave a response. Pinging is currently not allowed. « Bryan Reviews ‘War Horse’ Blu-Ray!! !